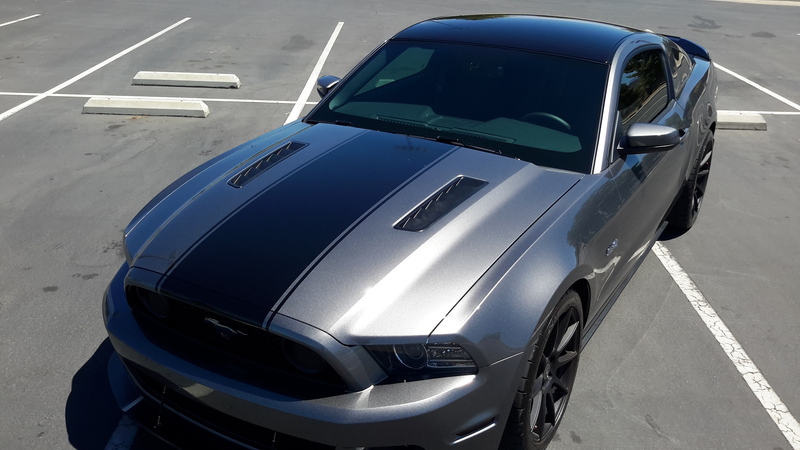 I have a silver 2015 GT and am debating upon shiny or not shiny.. The ingot silver is very bright and I think it would contrast well with matte on the other hand I think that the gloss stripes will look just as good. Any opinions? Going to get them done on Wednesday. Tough call, shiny black vinyl does show scratches easily. Matte black on sliver would look awesome! You can wax gloss stripes with the rest of the car.. 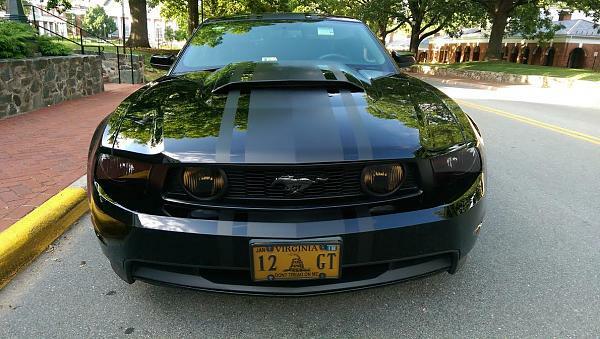 I have Matte on my black 2012, and I love them. If you are on the fence, I would go with shiny. The matte is a little more work when it comes to detailing, you are not supposed to get wax on them. I say suppose because I have seen posters here say they waxed them. I use a matte sealer from chemical guys. If anyone decides on this product, contrary to the directions it is a wipe on wipe off product and should be used in under 80 degree weather, and in shade. I talked to someone on the phone at CG before applying. I think with silver you could do either. Here's gloss on SGM. What about having 1 matte between 2 gloss ones, or vice-versa? 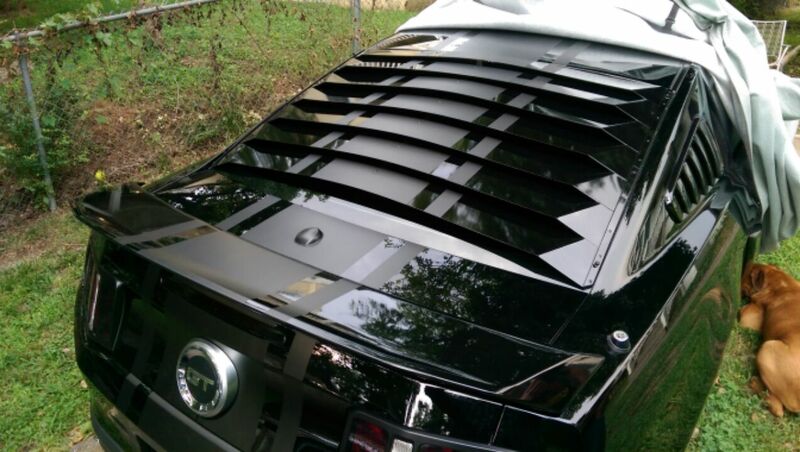 or matte stripes, & have gloss ones on top, with a little matte on each side? Quick Reply: Matte Stripes or Gloss Stripes?